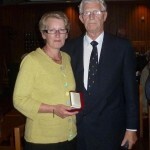 The Fuchs Medal Award Committee met in April and awarded the 2011 medal to Kath Nicholson. 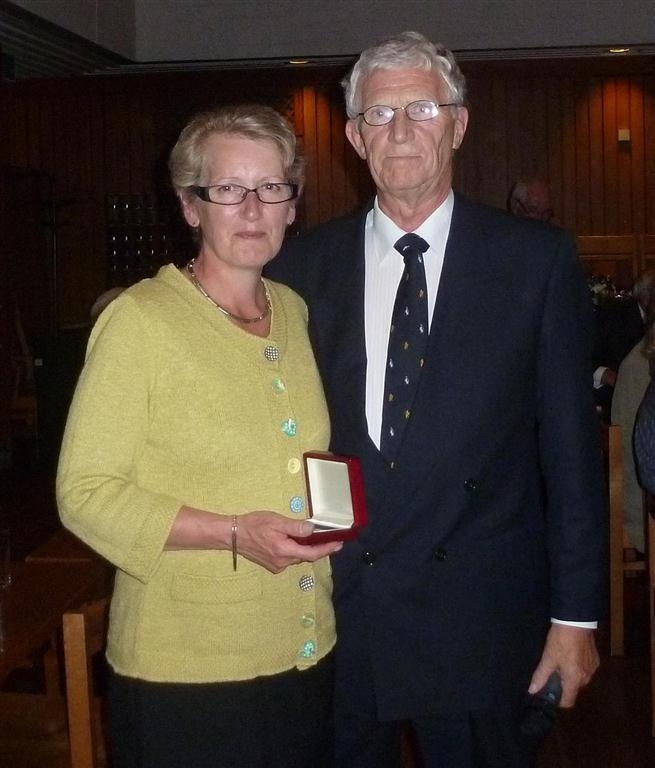 The award was presented at the Cambridge Reunion in July 2012. Kath was nominated by Ian Collinge and supported by Andy Smith, Robert Mulvaney, David Vaughan, Keith Nicholls, Richard Hindmarsh, Michael Dinn, Phillip Leat, Keith Makinson, Rodney Arnold, Steven Colwell and Hugh Corr. Kath Nicholson is the Senior Purchasing and Shipping Officer at BAS HQ. She first joined BAS in 1984 and gained tremendous experience and insight into the intricacies of the logistic workings of BAS, which was reinforced by four tours of duty down south between 1992 and 2000. Kath received unstinting praise from numerous colleagues within BAS for her long time involvement with BAS logistics. Scientists and senior administrators in BAS provided many insights into why she is a worthy recipient of the award. Her supporters are all in agreement that the work Kath does is absolutely critical to the success of field operations in ensuring that equipment and scientific instruments get to their correct destinations on time, and in good condition. They described her as flexible, unflappable endlessly helpful and apparently indefatigable in the service she provides. She is very positive and her characteristic comment, “there’s no problem we cannot overcome” is legendary. One of many examples of her devotion to duty was when the RAF mislaid a piece of equipment and time was running out for reshipment. Refusing to accept the RAF’s denials Kath personally went to the depot at Telford and systematically searched the warehouse and found the missing item. Her only comment when she emerged, hot and dusty, was that it had been a long day! Secretary, Fuchs Medal Award Committee.